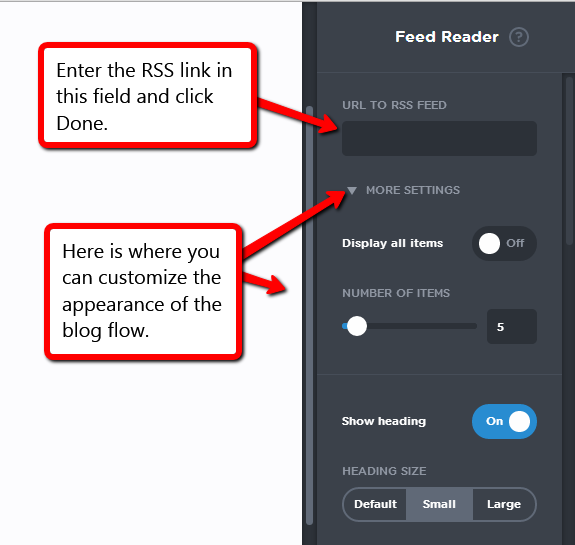 An RSS Feed reader is a self-updating website element that allows you to import blog posts or news. 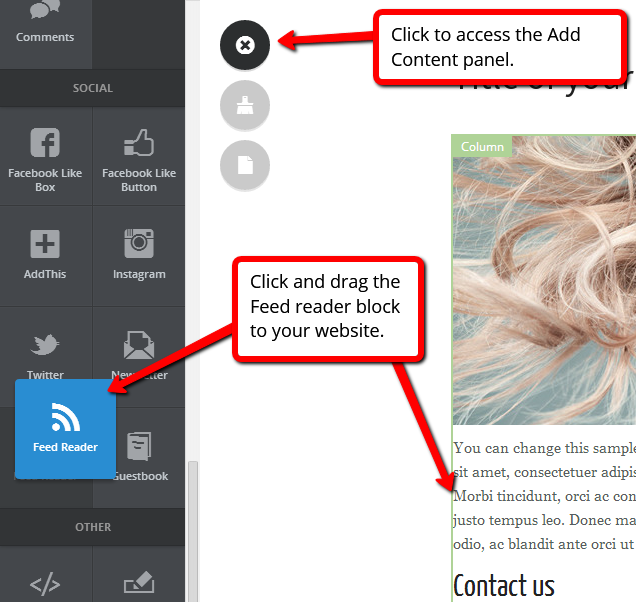 If you, for example, have an external blog that you want to incorporate on your website, you can use an RSS feed reader to link your blog. You will find the RSS link in a blog or on a website. Look for the RSS symbol, right click and choose Copy link address to copy the link. Paste that link into the source field. 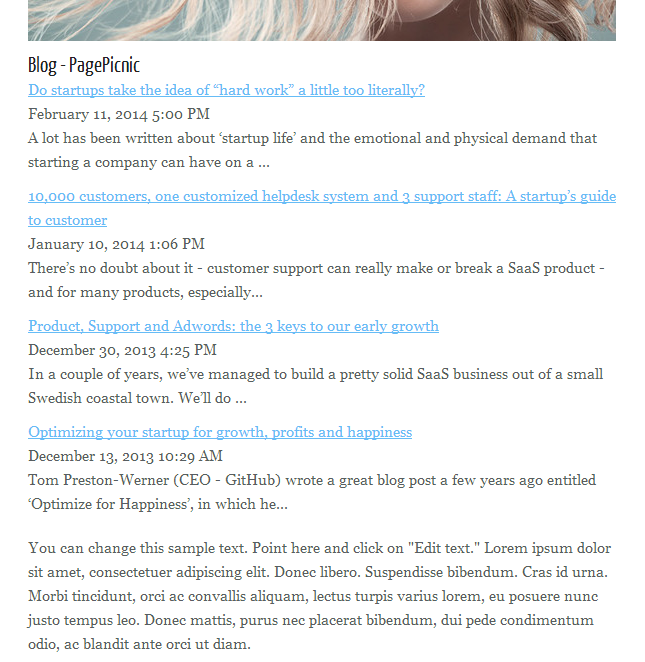 This is how an RSS reader might look on your page.